It’s all about the Dollar index. If we see this rollover after this 5th wave advance we could see buyers in the EURUSD and Gold. 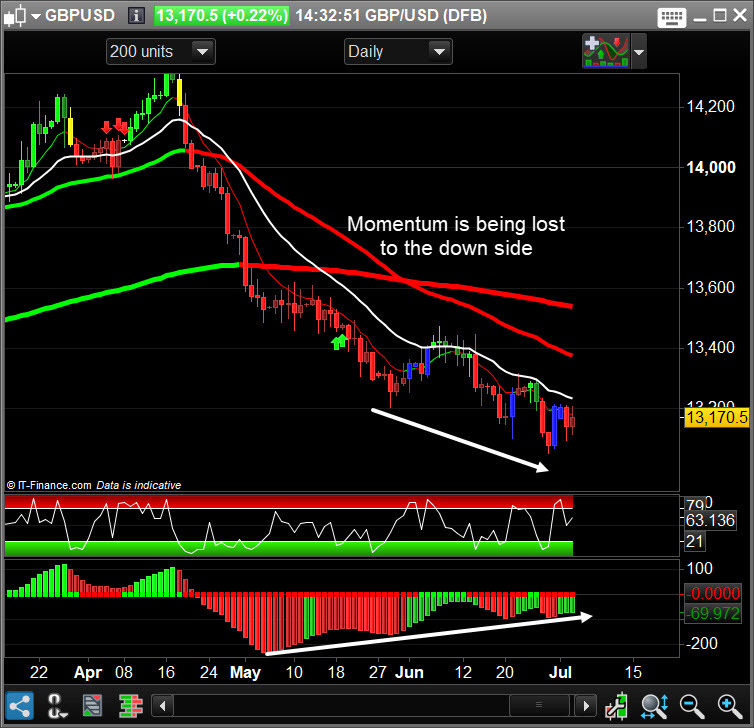 We have been long the EURUSD and the GBPUSD all morning in the live trading room. It’s been a good morning with lots of profits. This is the main chart we need to focus on at the moment. With the 5th Wave potentially complete and the lose of momentum on the Storyteller we could see a kick back rally on the EURUSD and Gold. 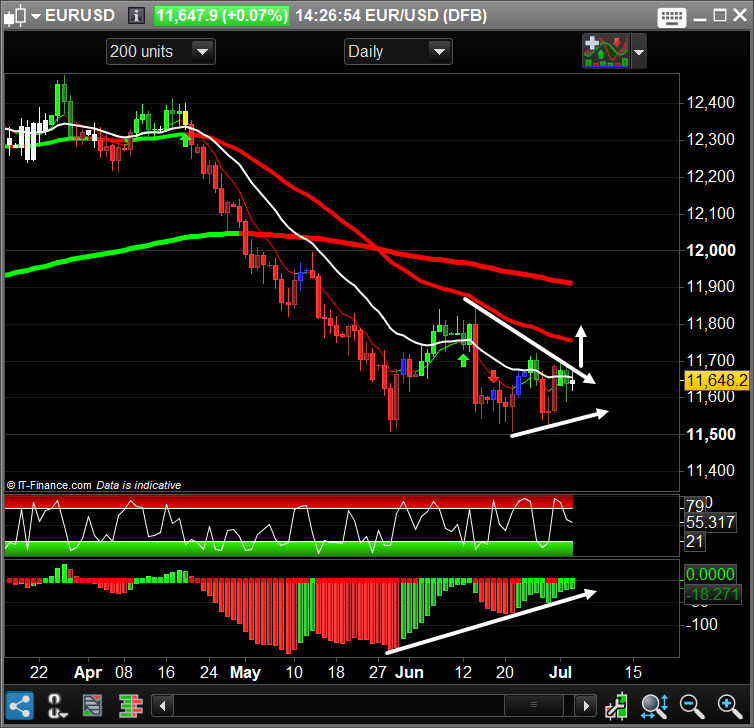 With the Dollar at a potential reversal, we could see the EURUSD explode to 11750 soon. Any break below 115 will indicate wave 5 is not yet complete. Same with Cable. 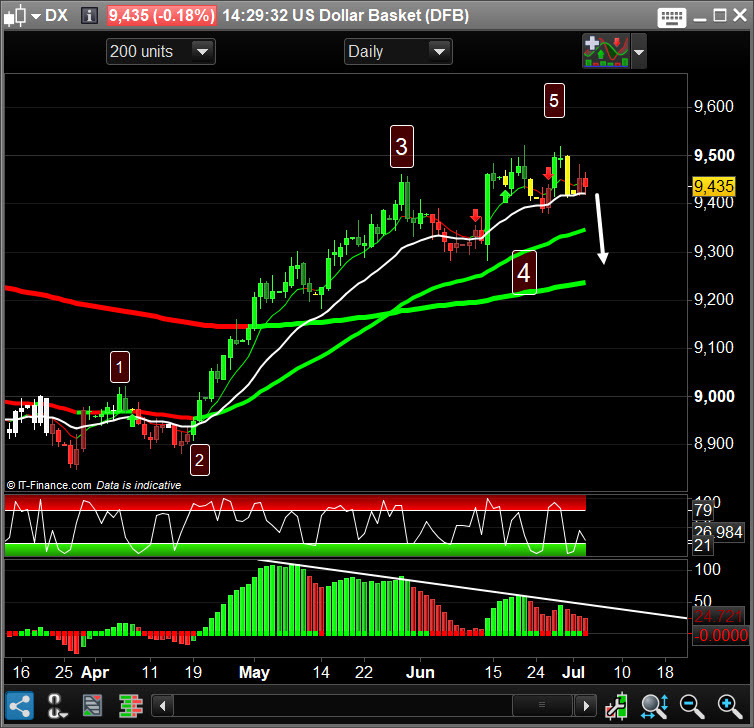 The 5 waves are not as clear but if the Dollar drops then Sterling will join the move higher. 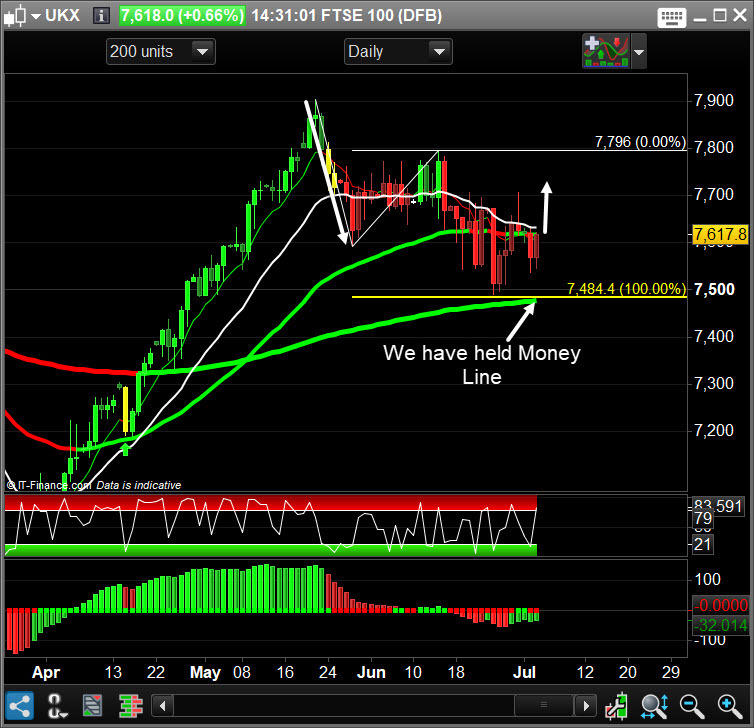 We are holding the Money Line support, so the door is open for a move higher. If we get a green PTS buy signal then we could make new highs but if we start to see the US indices drop after Wednesday, the FTSE will follow. 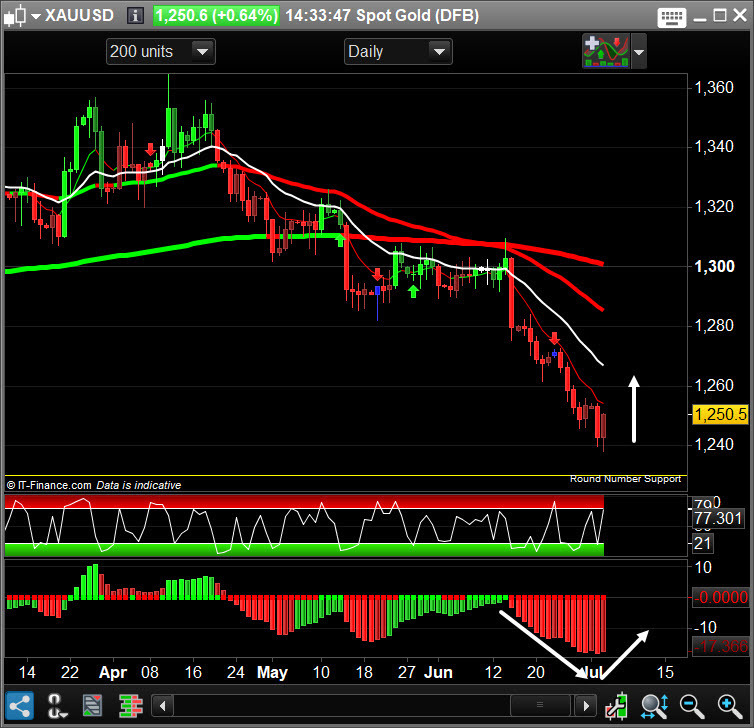 With the Dollar about to roll over, Gold has caught a bid and could push much higher off these lows. 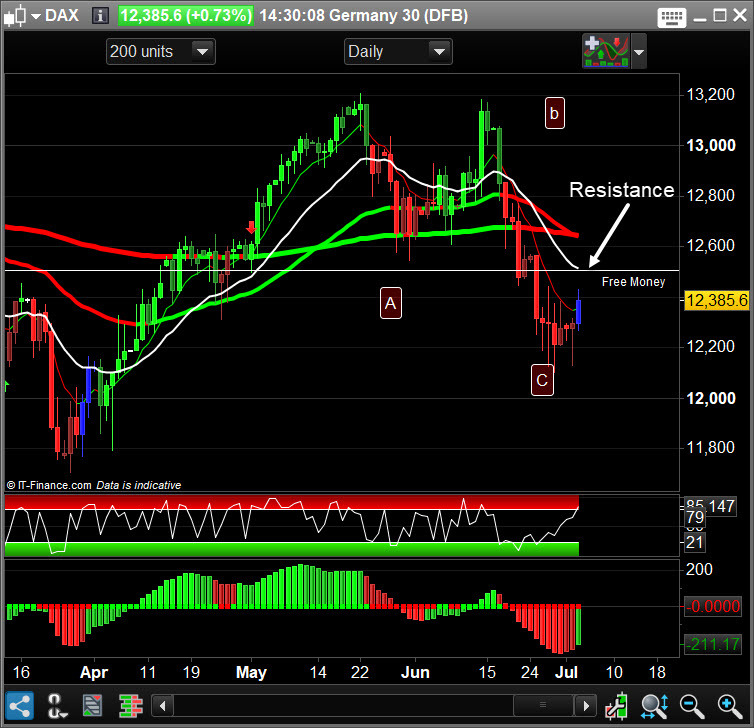 Looking to short the rally back at the 20 ema area.